we used Bob and his crew as our wedding photographers and they were all awesome. From the beginning Bob was so thorough with the itenerary and this continued the day of the wedding-they really made sure everything was perfect. We had so much fun taking the pics and really felt like they were friends we had known for awhile. The pics also came out amazing. Very highly recommended!!! Robert Dean Photo Arts was great to work with for our wedding photos on our wedding day, May 30, 2015. They caught some great shots, which tell the story of our wedding day perfectly. Bob and his team were also non-intrusive, and let the day happen while still managing to catch the big shots beautifully. He was responsive beforehand, and has also worked with us after the wedding day on follow-up and photo editing. Highly recommended! Highly recommend Bob and his amazing staff. We chose the diamond package which included engagement shoot, rehearsal dinner and of coarse, the wedding day. Three talented photographers, skilled and professional. Within 36 hours, we were able to view 99 pictures of the wedding which were simply amazing. They do not just take pictures. Their artistic talents capture the moment and emotion in every shot. These photos far exceeded our expectations. Friendly, professional and always available to help and offer suggestions. So excited to see the rest of the photos. I highly recommend the Diamond Package. We are very pleased that we chose Bob Dean as our wedding photographer. Bob’s planning and suggestions, both in advance and during the wedding, made the process very easy for us and resulted in many wonderful photographs. We had a small wedding, family and a few friends, and Bob’s personality, patience, and flexibility during the day contributed to everyone feeling very comfortable and part of the entire process. Above all, we all felt very relaxed with Bob. We recommend without reservations. Thanks Bob for helping make our wedding day a joyous and memorable occasion. ensured we had the best photos and I am so glad I listened to his advice. Our photos are incredible and we have received so many compliments on all of them. We also had Bob do a family photo shoot in Avalon NJ a few summers ago and the photos taken that day are blown up and hanging in my dining room. Bob has a real talent and takes pride in providing his clients with nothing but the best! We are very pleased with our decision in choosing Robert Dean Photo Arts for our wedding photography. They listened to our needs and made excellent suggestions for photos. 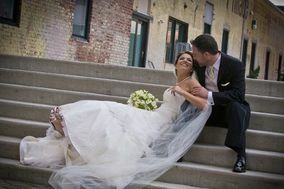 In addition, they were very professional and provided high-end photography at an affordable price. We are very satisfied with how they were able to capture the special moments throughout our big day. We still enjoy watching the pictures and highly recommend Robert Dean Photo Arts. Robert Dean was an excellent photographer. He was very patient and professional and gave us great directions which, in turn, allowed our wedding pictures to turn out more beautiful than we expected. We were so pleased with his services that we go back once in a while to have him capture the most memorable milestones in our life, the most recent our maternity picture and we look forward to having him captureour first family photo as well.